For the second year in a row we have got behind the village fete and hosted a stand for the day, we had a bouncy castle that proved hugely popular with all the families there on the day. There was also a BBQ and the traditional bric-a-brac stall. We raised a great amount of money and this event is getting more and more popular every year. 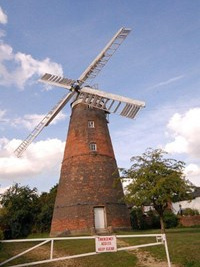 The funds all go back into the maintenance and upkeep of the windmill this fantastic village monument.